Everything pictured on the left is included in the Adhesion Test Analyzer. The cross hatch tape test method, also known as ASTM D3359, is a simple qualitative means of classifying a coating's adhesion. 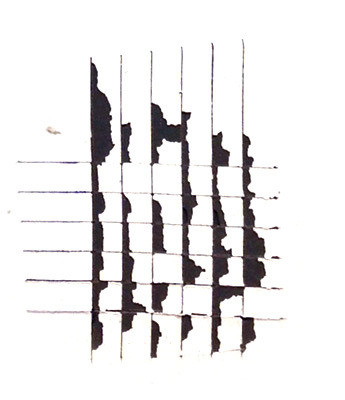 In essence, a multi-toothed blade is used to score parallel lines through a coating to the substrate. The same blade is used to score the coating again but at 90 degrees to the first set of lines to produce a cross-hatched pattern. A section of PA-280630 tape is then applied to the hatched area and subsequently pulled from the coating to remove any loose paint. 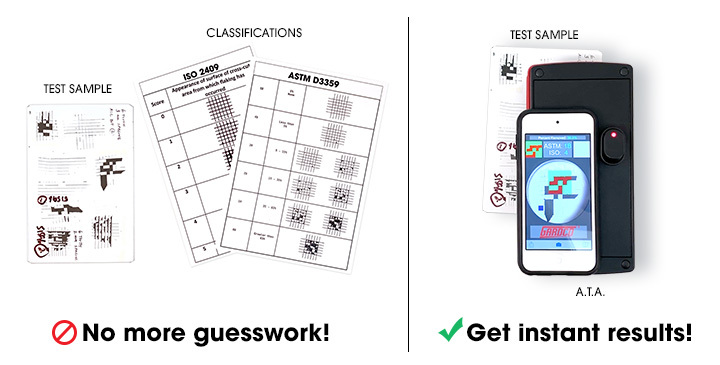 The hatched area is then examined and compared to a set of images in ASTM Test Method D3359 to determine the classification rating of the coating. The problem with this method is that if some amount of coating is removed from the substrate after the test it can be difficult to properly estimate the percentage removed and the resulting classification rating. This is because whole squares may not be removed from the grid and there may be some amorphous shape to quantify. To illustrate this, consider the images below. 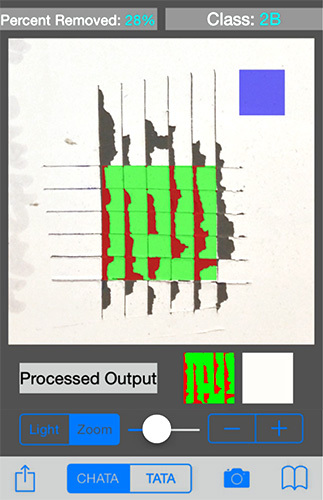 Without the use of software, it would be very difficult to estimate the percentage of coating removed from the image above. 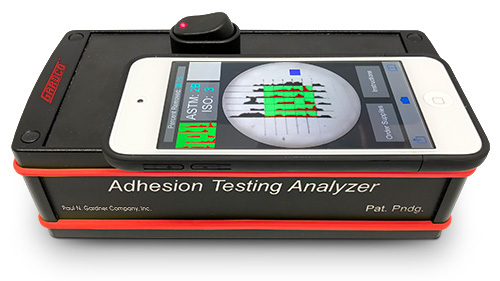 However, using the Adhesion Test Analyzer (ATA), the area removed can be automatically calculated and discovered to be 28%, making the classification rating of this coating a 2B. Also, since the test site has been digitized in order to calculate the amount of coating removed, it is easy to share electronically with interested parties.